The French critic, filmmaker, and novelist Alexandre Astruc, an important influence on the New Wave and on the artistic innovations that defined American and European cinema in the 1960s and ’70s, died in Paris earlier today. A dandy and intellectual omnivore, Astruc was equally passionate about beautiful women and mathematics, great literature and good food, but he left his biggest mark on film, where his eloquent early writings laid the groundwork for the cult of the auteur. He was 92. Born in Paris, Astruc fell in with the city’s intellectual and literary circles during the years of the Occupation, eventually establishing himself as a prolific journalist and critic in Paris’ post-war Left Bank scene. This was the romanticized era of smoky cafes and existentialists—but also of film clubs, small membership-based screening and discussion groups in which many of the values we now associate with both film criticism and filmmaking first formed. Astruc himself was a co-founder of Objectif 49, run by a group of Parisian critics that included André Bazin, the critic whose brief, remarkable career effectively changed the course of film in the West. Other members included filmmakers Jean Cocteau and Robert Bresson, writer Raymond Queneau, and a teenage François Truffaut. Objectif 49—where the likes of Orson Welles, Roberto Rossellini, and Preston Sturges would come in to present their films—was one of the most influential film clubs of the era, and would eventually merge with Éric Rohmer’s Ciné-club Du Quartier Latin to create the seminal film magazine Cahiers Du Cinéma. Around the start of Objectif 49, Astruc published what would be his most influential piece of criticism, an essay in the magazine L’Écran Français called “The Birth Of A New Avant-Garde: The Camera-Pen,” which outlined an ideal of filmmaking in which the director “writes with his camera as a writer writes with his pen.” (Those who’ve never read the essay—one of the most important film texts of its time—are advised to now.) Astruc’s explicitly literary formulation would have a tremendous impact on the next decade of film theory, leading to the ideal of the auteur (French for author), a director able to express a novelist’s depth through their control of film style. The filmmaker and critic Louis Delluc had expressed similar ideas a generation earlier. But Astruc gave them elegance and a sense of artistic tradition that made the “camera-pen” into one of the most important buzzwords in the era’s movie culture. Its significance can’t be overstated. An avid advocate of the short film, Astruc put his ideas into practice in such superb shorter works as The Crimson Curtain (1952) and his made-for-TV adaptation of The Pit And The Pendulum (1964). His first feature, Bad Liasons (1955), was well received, but his more classical style was no match for the bold experiments of the French New Wave, which included both Astruc’s close friends (including Alain Resnais, Agnes Varda, and Chris Marker) and younger critics-turned-filmmakers who considered Astruc a forebear, including Truffaut and Jean-Luc Godard. Affectionately dubbed “the uncle of the New Wave,” Astruc ended up working mostly in TV, where he alternated between literary adaptations and documentaries. In 1994, he became the first-ever recipient of the Académie Française’s René Clair Award for achievement in cinema. 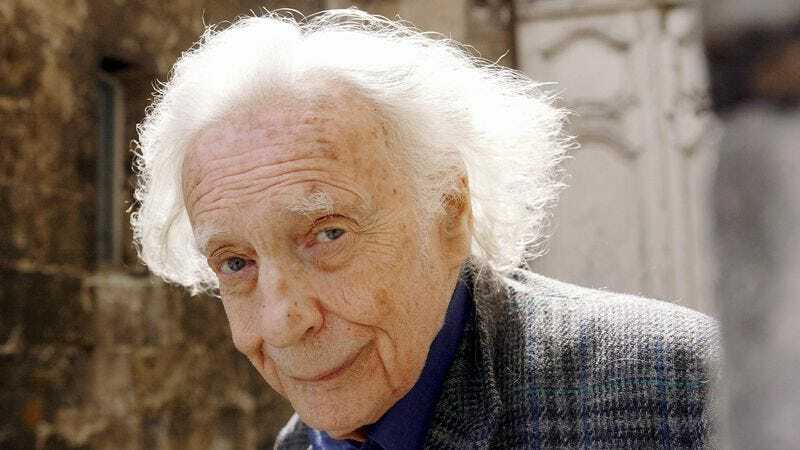 Astruc published his first novel, Les Vacances, in 1945, and returned to his literary ambitions in the mid-’70s, publishing works of fiction, collections of essays, and memoirs. In 2015, the actor and critic Noël Simsolo published a book-length interview with Astruc entitled The Pleasure In All Things.